According to the most recent "Weekly Online Poker Traffic Update" from Pokerscout.com, traffic on the Cereus network (UB/AP) had fallen 83% from "Black Friday" through to May 16th. Earlier this week, Cereus finally blocked US players from accessing real money games on their network. 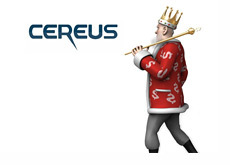 Pokerscout's most recent report was issued when US players were still able to play for real money on Cereus, which means that their numbers should drop even more this week. Earlier today, I thought that I would download UB to see what kind of real money action was taking place on the site (this was about 5:45 pm EST). How much traffic would the site have on online poker's busiest day of the week? I first looked at the NLHE cash games. The "biggest" game being played was a single 2/4 heads-up match. There were a number of people that were sitting at higher stakes, but no games were being played. After 2/4, the next "biggest" game was found at $0.50/$1. There was one 6-max table going, and it was full. That's it - the rest of the PLO action was all at the "fun" tables. In terms of MTT action, I counted a total of 8 in-progress tournaments that required a real money buy-in. The $25k guaranteed (I guess this is the big weekly tournament on UB now?) had a total of 112 players, which means that there was an overlay. Given how little the Cereus network is seemingly raking at the moment, how much longer can they hang on for?